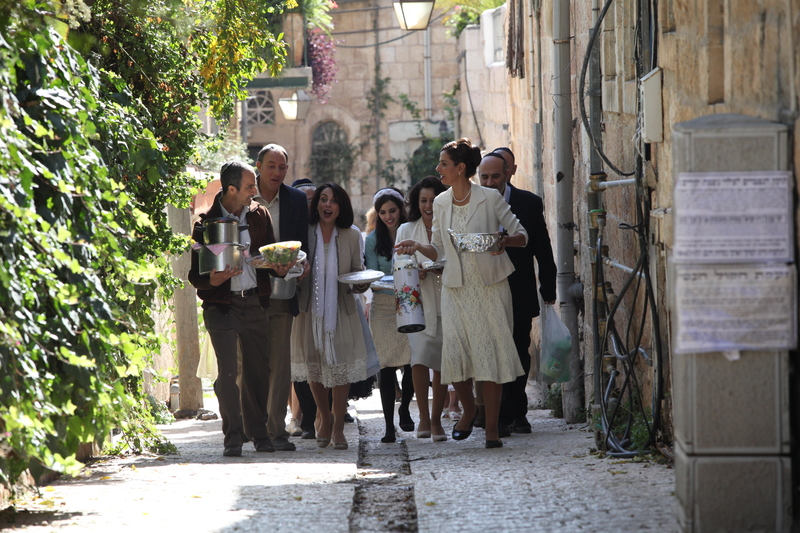 (Israel, 2016, 96 min, Hebrew, English subtitles, Cast: Evelin Hagoel, Igal Naor, Orna Banay, Einat Sarouf, Aviv Alush, Itzik Cohen). Etty and Tzion live a happy peaceful life in their small Jerusalem community. They have a strong love and mutual respect for one another. Although their children left home long ago the older couple’s lives are filled with friends, synagogue and community. During the bar mitzvah of their grandson, the women’s balcony of their synagogue collapses and the synagogue is destroyed. The community is lost without the synagogue – their meeting place and the source of common joy and pride. 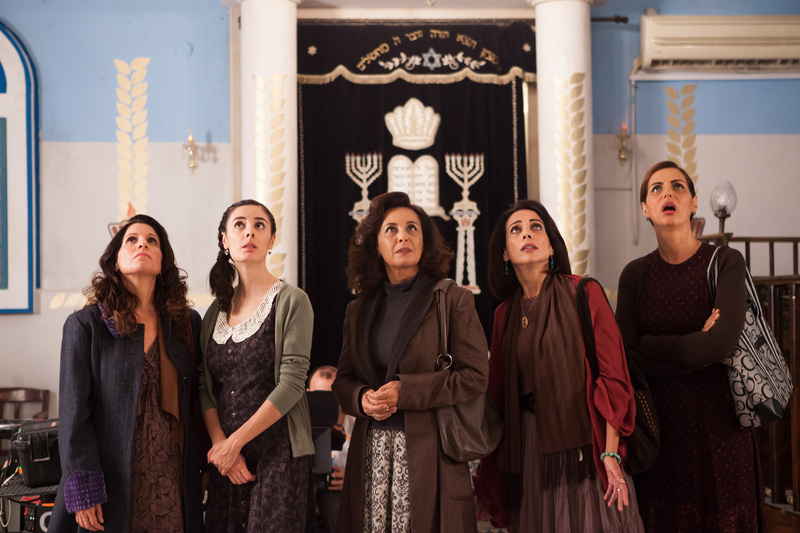 The men try to find a way to restore the synagogue but are faced with so many obstacles, both financial and bureaucratic, that it seems impossible. Then a young, charismatic, zealous rabbi comes into their lives. He promises that all their problems will be solved if they repent their sins and follow him. He particularly reprimands the women, urging them to cover their hair and to lead a more rigidly religious lifestyle. He proposes a plan for the reconstruction of the synagogue. The men are eager to do as the rabbi suggests. The women are more skeptical but, in the interest of family peace, they are willing to go along with the plan. 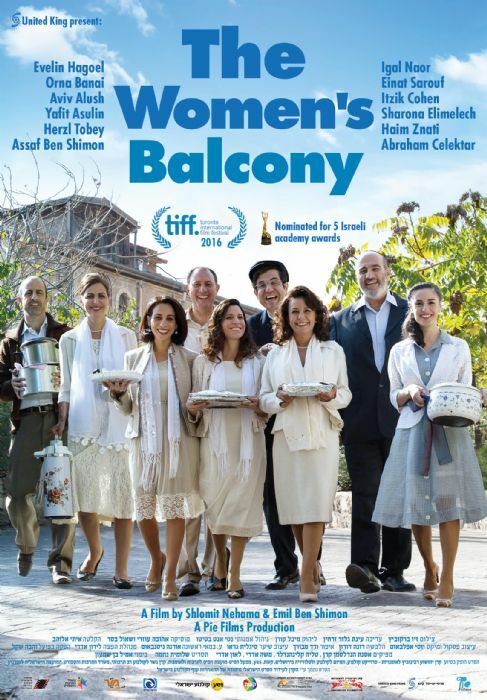 When it becomes clear that this new rabbi wants to rebuild the synagogue without a women’s balcony, to effectively separate the women from the community they have been a constructive part of all their lives, Etty and the other women revolt. This film is about what happens when extremism infiltrates a moderate community. It is the story of a group of friends and neighbors determined to protect their way of life. The film is not offered to the USA, Canada, and Spain.